Ducati India has just launched the Monster 797 and the Multistrada 950. The Monster is priced at 7.77 lakh while the Multistrada 950 sits at 12.5 lakh, both prices reflecting ex-showroom Delhi figures. Bookings for both bikes are now open at all Ducati showrooms across the country. Both bikes are imported into India through the completely built unit (CBU) route. 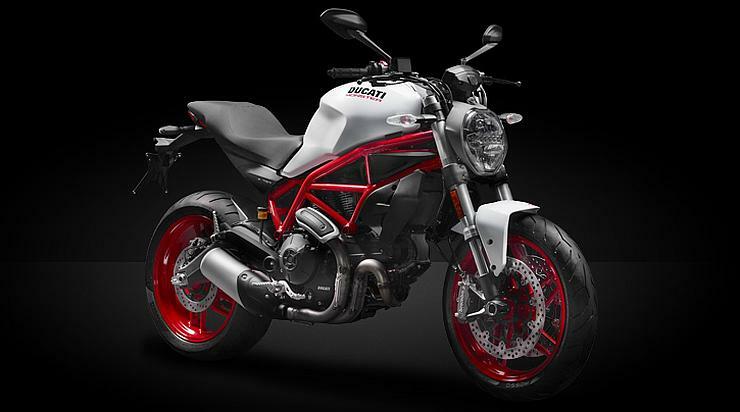 The Monster 797 joins the ever-expanding Monster range of streetbikes Ducati sells in India. The bike is powered by an air cooled L-Twin four stroke engine displacing 803 cc. Peak power is rated at 75 Bhp, and peak torque at 68 Nm. A 5 speed foot-operated manual gearbox comes standard. In pricing terms, the 797 sits under the Monster 821 and 1200 models, as the cheapest Ducati Monster sold here. The muscularly styled street naked is primarily meant for urban commuters who go on the occasional longer ride on the weekends. The bike offers ABS but dispenses with riding modes and traction control. 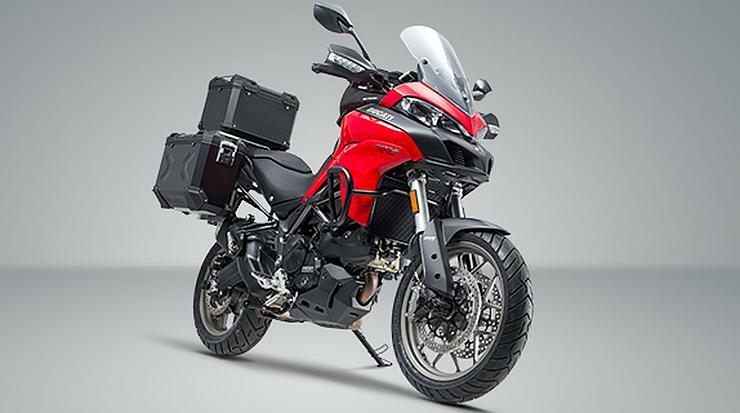 On the other hand, the Multistrada 950 is a versatile dual purpose sports tourer from the Bolognese bike maker. The bike sits under the more-expensive Multistrada 1200, as Ducati’s entry level dual purpose machine rivaling the Triumph Tiger 800. The bike is powered by a liquid cooled, L-Twin four stroke motor that displaces 937 cc, and makes 111 Bhp-96 Nm. A 6 speed manual gearbox transmits torque to the rear wheels. In keeping with the dual purpose nature of the bike, Ducati has equipped it with four preset riding modes: urban, touring, sport and enduro. ABS and traction control are standard.